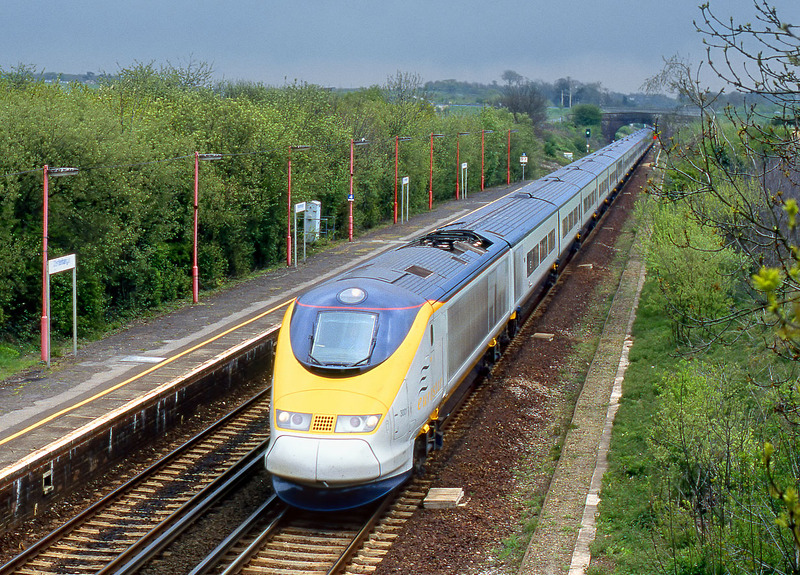 3001 passes through Westenhanger station on 11 May 1996 with the 9133 13:44 Lille to Waterloo service. This view has now been completely transformed. The bushes behind the platform on the left have all gone, making way for the construction of the Channel Tunnel Rail Link (HS1), on which of course the Eurostars now run.